Amazon Prime Day 2019, the biggest shopping day of the year, is on the way. Unlike Black Friday, it is exclusive to the world-famous online retailer Amazon, and only those with an active Amazon Prime Account can benefit from it. If you have no idea about Prime Day, it is the day when Amazon goes crazy for 36 hours and offers unbelievable deals on numerous products. 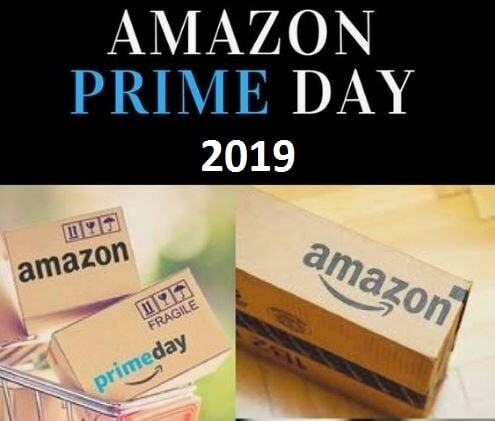 On Amazon Prime Day 2019, a multitude of renowned brands will launch new products which will be available at incredible prices. Additionally, the highest discounts will be offered on Amazon’s own products. The one-day-only shopping event is great for saving money on a wide range of goods such as electronics, family essentials, home appliances, grocery items, and much more. The day offers great deals and top-notch bargains on Amazon’s highest-quality products. All that Amazon Prime Account holders have to do is log into the official website in order to grab exclusive deals and avail attractive discounts. Besides heavily discounted one day deals and fantastic cashback offers, lucky users can also win exciting prizes like premium smartphones and even international trips. Amazon Prime Day Sale will commence at 12PM on July 16,and it will go on till the next day. The sale will offer a large number of exceptional and cost-effective deals along with fleeting Lightning Deals which will last for a day. Keep your eyes open and await Amazon Prime Day 2019 to capture the best deals of the year. In order to shop on Amazon Prime Day, it is imperative for users to be a prime member of Amazon. If you are not a Prime member, you can sign up for an Amazon Prime Account for a fixed yearly price. Prime Account holders enjoy benefits such as guaranteed one-day delivery and exclusive deals from time to time. In addition to that, Prime members get access to Prime Video, Prime Music, and much more. Nonetheless, if you are not interested in purchasing the membership for a year, you can also opt for a monthly plan and avail the same benefits but for a limited time. Another advantage of having an Amazon Prime Account is that you will regularly receive Prime Day emails and updates regarding the biggest sale of the year. Sign up today and become an Amazon Prime Member in order to load your cart on Prime Day and get phenomenal deals at highly discounted rates.